The government shutdown has forced the partial or complete closure of some of the nation's most popular national parks and has furloughed thousands of federal land agency workers. The folks that are responsible stewarding, maintaining and watching out for one of the great legacies of the United States are absent; they're gone. - John Wentworth, town councilman, Mammoth Lakes, Calif. This means all kinds of under-the-radar, yet critical, work has mostly stopped — from timber sales to wildfire prevention projects to the general upkeep and enforcement of laws on millions of acres of U.S. public lands. "It's an eerie silence," says John Wentworth, a town councilman in Mammoth Lakes, Calif. "The folks that are responsible for stewarding, maintaining and watching out for one of the great legacies of the United States are absent; they're gone." Wentworth's town is completely surrounded — and largely dependent on — U.S. public lands, not the least of which its ski resort which operates on a U.S. Forest Service lease. The shutdown has coincided with one of his town's busiest seasons. Suddenly there's no one staffing area visitor centers or popular trailheads for snowshoeing, snowmobiling. There's no one to interact with visitors, enforce the rules and just manage the land. "It's kind of scary," Wentworth says. "We don't know what to tell our visitors; we don't know how to be good hosts and stewards of these public lands because the federal presence is not there." Wentworth's anxiety is familiar to communities across the West that promote themselves as gateways to massive amounts of U.S. public land. Much of that land is open to the public and to everything from natural resource extraction to outdoor recreation. The latter contributes billions to the U.S. economy, according to several recent studies. Bureau of Land Management land in the southern Utah desert. The partial federal government has furloughed thousands of federal land agency workers, leaving work on critical public land projects mostly stopped. So when your landlord is suddenly unreachable, almost everything is thrown into limbo. About half of all of California is federal land. Next door in Nevada it's more like 80 percent. "Sure, there are lots of citizens out there that will pick up trash, but the larger landscape planning issues, they're not being addressed," says Jaina Moan of the Nature Conservancy's Nevada chapter. In recent years, groups like the Nature Conservancy have played a big role in large collaborative conservation and other development projects on federal land, such as programs that help improve rangeland for ranchers and reduce wildfire risk in national forests. Moan's group can keep working on the side, but they can't access certain lands or the federal scientists who work on them. And big collaborative meetings about these projects are postponed indefinitely. "Like most of America, we hope that Congress and the president can resolve this soon because we need those government partnerships to work so that we can make sure that the conservation of our lands and waters can continue," Moan says. Westerners have been watching for years as funding for federal lands agencies and infrastructure has generally been on the decline. John Wentworth of the Mammoth Lakes town council says local governments like his have been trying to plan around this new reality, launching collaborative partnerships to pool resources and get some of the work done that was traditionally the federal government's responsibility. "So that if these spasms that come out of Washington due to unprecedented, existential, partisan craziness, we will have partnerships and working relationships in place to be able to mitigate these effects," he said. This summer, his town is partnering with the Forest Service to remove trash and staff area trailheads. But this latest shutdown, Wentworth says, happened so quick there was no time for even short term contingency plans. We've been hearing a lot about overflowing trash bins and unsafe conditions at national parks due to the partial government shutdown. But other critical works on public lands has also stopped. NPR's Kirk Siegler reports. 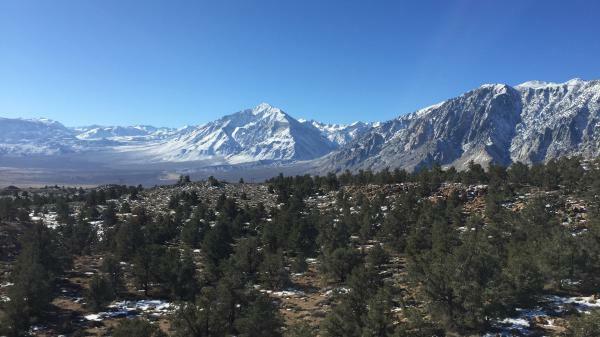 KIRK SIEGLER, BYLINE: Here's the view of the shutdown from the doorstep of the eastern Sierra Nevada mountains and the town of Mammoth Lakes, Calif.
JOHN WENTWORTH: It's an eerie silence. SIEGLER: John Wentworth is on the town council. WENTWORTH: The folks that are responsible for, you know, stewarding, maintaining and watching out for the - one of the great legacies of the United States, our federal public lands, are absent. They're gone. SIEGLER: Mammoth is completely surrounded and largely dependent on federal public lands, including its ski resort, which operates on a forest service lease. Wentworth says the abrupt shutdown coincided with the busy holidays. Suddenly, there was no one staffing visitor centers or popular national forest trailheads in the area for snowshoeing or snowmobiling and no one to enforce the rules or just manage the land - millions of acres of it across the West. WENTWORTH: It's kind of scary. We don't know what to tell our visitors. We don't know what to tell our guests. We don't know how to be good hosts and stewards of these federal public lands because the federal presence is not there. 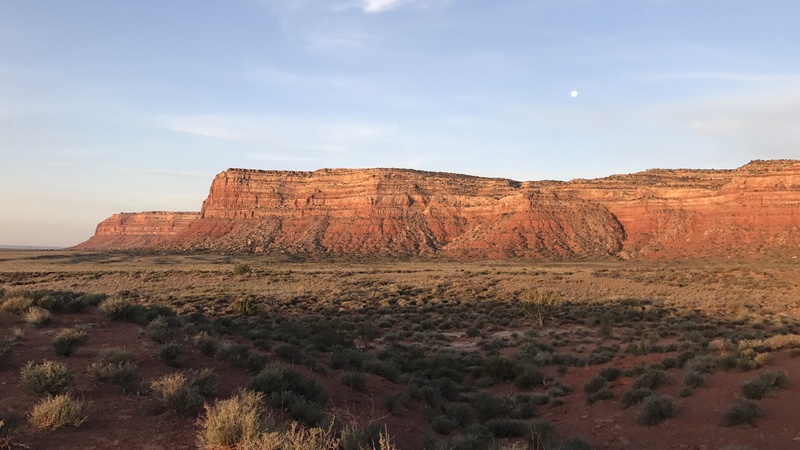 SIEGLER: This is a familiar anxiety in communities that promote themselves as gateways to massive amounts of U.S. public land, land that's open to everyone and everything from outdoor recreation to natural resource extraction. When your landlord is suddenly unreachable, almost everything is thrown into limbo - about half of California's U.S. public land. Next door in Nevada, it's more like 80 percent. JAINA MOAN: When they're not there and the longer it goes on, you know, I just start to worry that our lands aren't getting taken care of the way they should be. SIEGLER: Jaina Moan is with the Nevada chapter of The Nature Conservancy. MOAN: Sure, there's a lot of citizens out there that will pick up trash. But the larger, landscape scale planning issues, they're not getting addressed. SIEGLER: In Nevada, this means private-public landscape programs to improve range land for ranchers, and across the West, partnerships on large wildfire mitigation and timber projects. All of these are on hold. Moan's group can still do some work, but they can't access certain closed lands or the expertise of federal scientists who work on them. And big, collaborative meetings are postponed. MOAN: Like most of America, we hope that Congress and the president can resolve this soon because we need those government partnerships to work. SIEGLER: These partnerships have become critical as funding for federal land agencies has dropped steadily. In Mammoth Lakes, John Wentworth says local governments have been trying to plan around this new reality. WENTWORTH: So that if these spasms that come out of Washington due to unprecedented, existential, partisan craziness, we will have partnerships and working relationships in place to be able to mitigate these effects. SIEGLER: This coming summer, his town hopes to help the Forest Service remove trash from trailheads and better staff them. But this shutdown happened so quick, Wentworth says there was no time for even short-term contingency plans. Kirk Siegler, NPR News. Transcript provided by NPR, Copyright NPR.